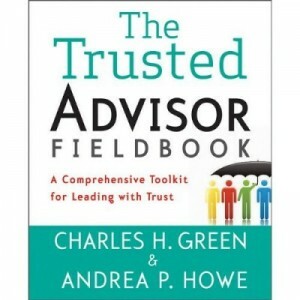 We at Trusted Advisor Associates try our best to practice the Trust Principles we espouse. We have found they work for business development, as well as in other aspects of business. We believe they are particularly relevant in a recessionary environment. That’s why we’re devoting Trust Matters this week to selling in down times. The Trust Perspective. Trust is a paradoxical thing. It requires risk-taking when we’re risk-averse. It requires doing the opposite of our first instincts. Recessions are the same. The thing consumers want to do—stop spending and save—paradoxically drives the recession deeper. The one thing businesses want to do—cut costs, squeeze suppliers and customers, and scale back plans—paradoxically drives the recession deeper. Trust is about relationships, not transactions. Thinking of downtimes per se is transactional thinking. Thinking of downtimes as one half of a business cycle is relationship thinking. And it’s what you do in tough times that determines how others trust you in the good times. Trust is based on being willing to put the other’s needs first. But in a recession, the instinct to take care of Number One has the same trust-destroying effect as selfishness does in personal relationships. And it hurts business development in both the short and long run. 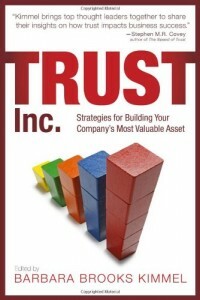 Trust and Business Development. We’re going to offer a few specific ideas based on these principles during the week. • Pick a local charity or non-profit organization; make a significant donation to them. It will be completely unexpected, very needed, and very appreciated. Don’t worry about publicity—word will get around. • Pick a few important existing customers—you can’t help everyone—and do an important project for them, one that would normally have trouble getting done because it’s long term and visionary. And do it for free. • Increase your severance package benefits. Now. • Use collaboration as a form of innovation. In our business, we are working with clients to develop the Onsite Offsite, a way of delivering distance seminars at in-house costs, packaged innovatively to go way beyond traditional webinars. Finally, one of our Trust Principles is Collaboration. We’d like to share our ideas with as many people as possible. We invite you to pitch in and make this a truly collaborative week by adding in your own comments and ideas. Stay tuned to Trust Matters this week. An object example in good behavior from, of all places, politics.